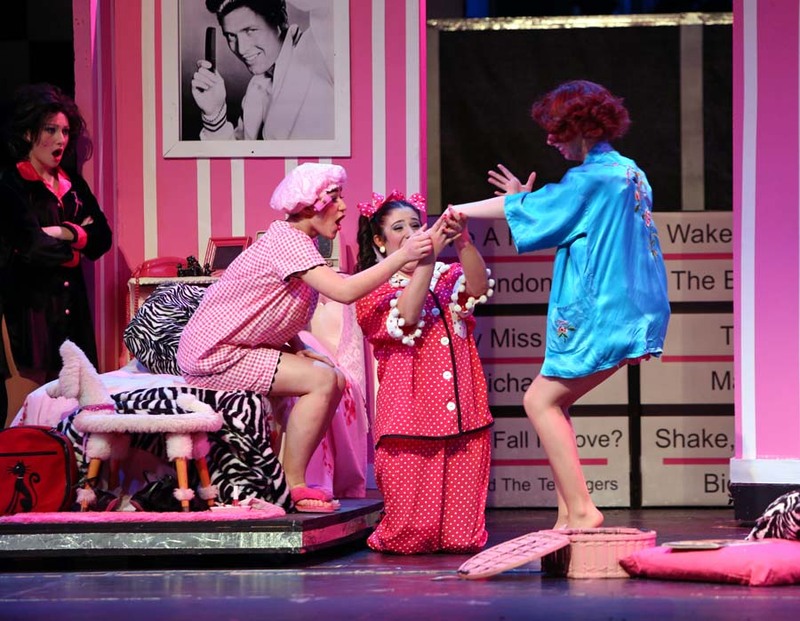 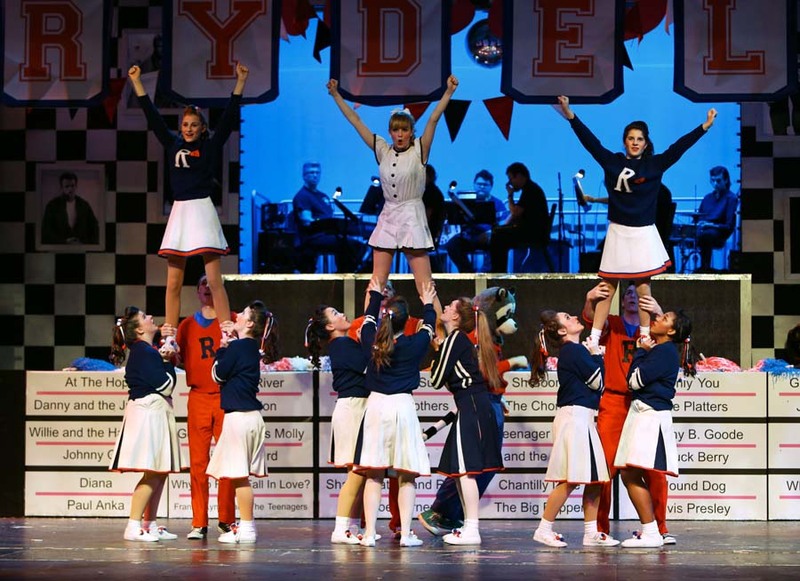 It’s 1959, and Rydell High School’s senior class is in rare form. 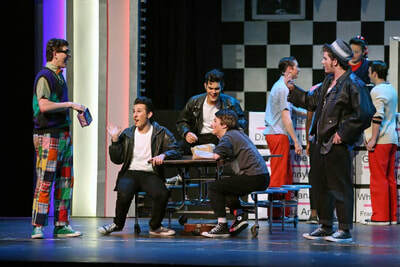 The too-cool-for-school “Burger Palace Boys” are stealing hub-caps and acting tough and their gum-snapping, chain-smoking “Pink Ladies” are looking hot in bobby sox and pedal pushers. 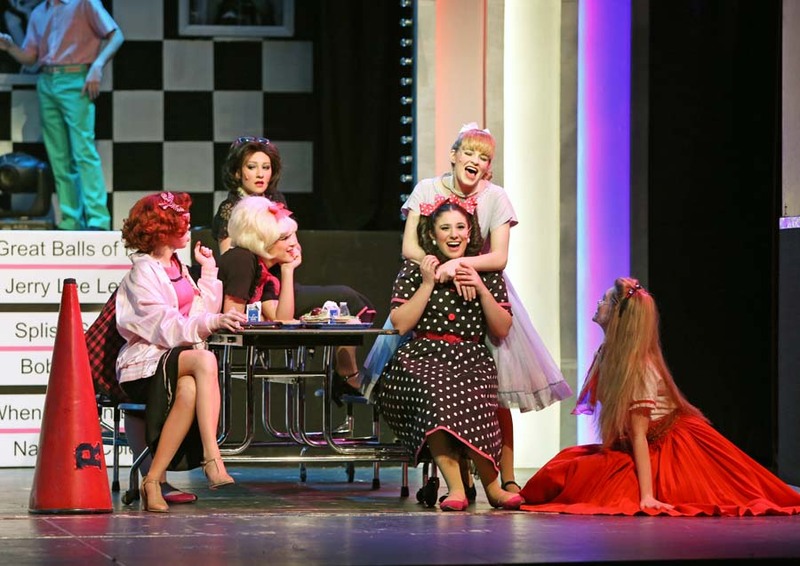 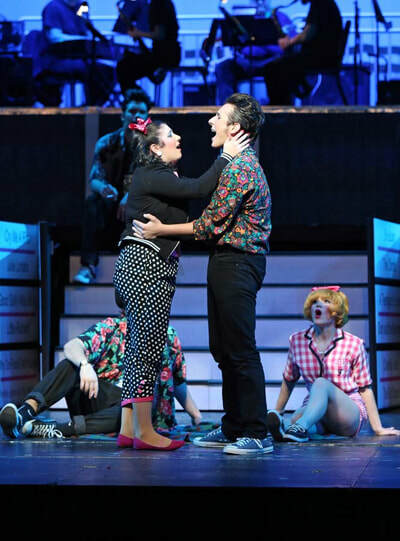 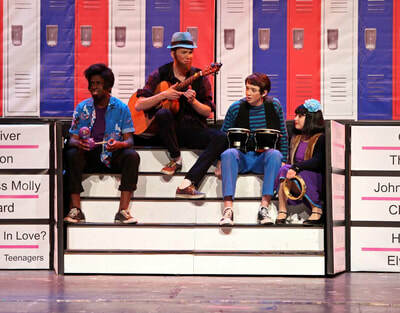 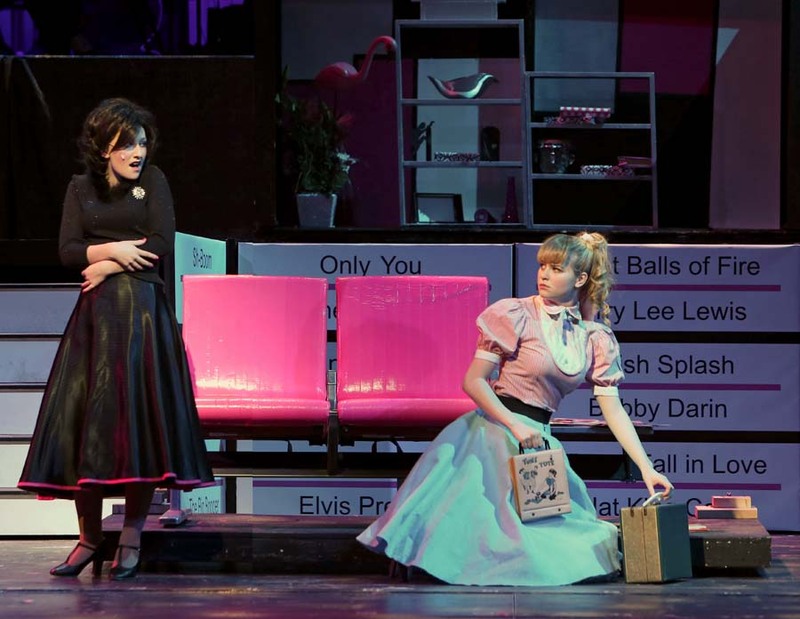 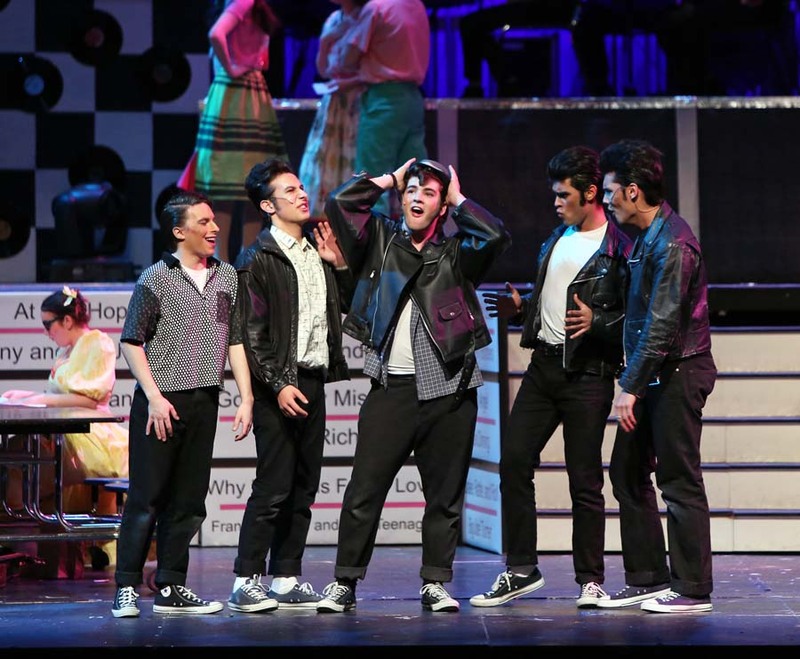 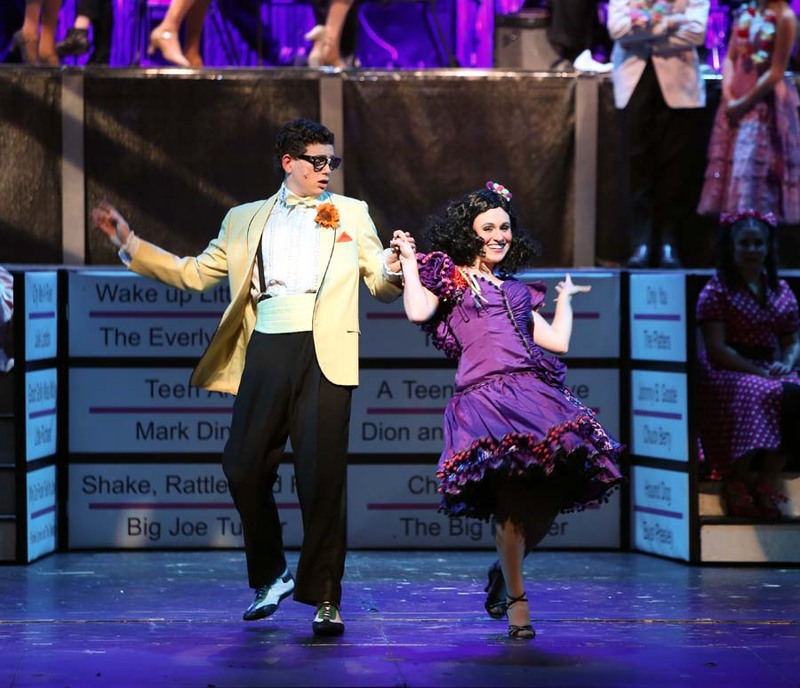 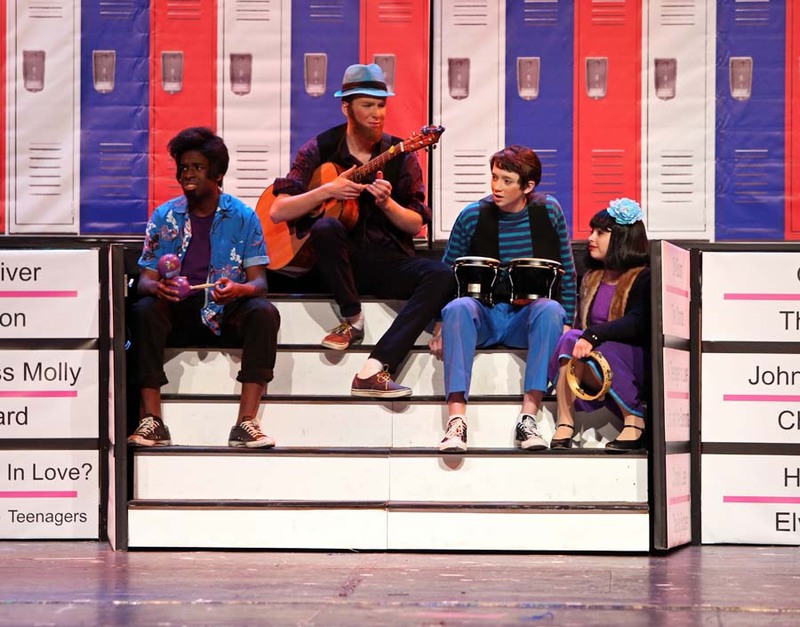 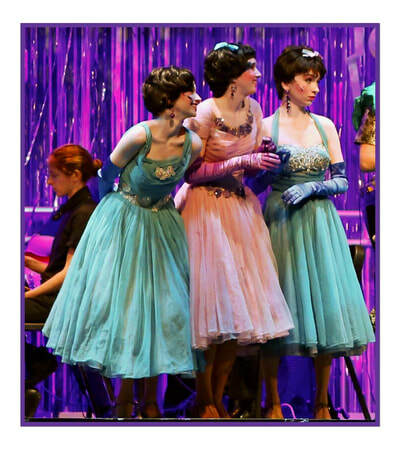 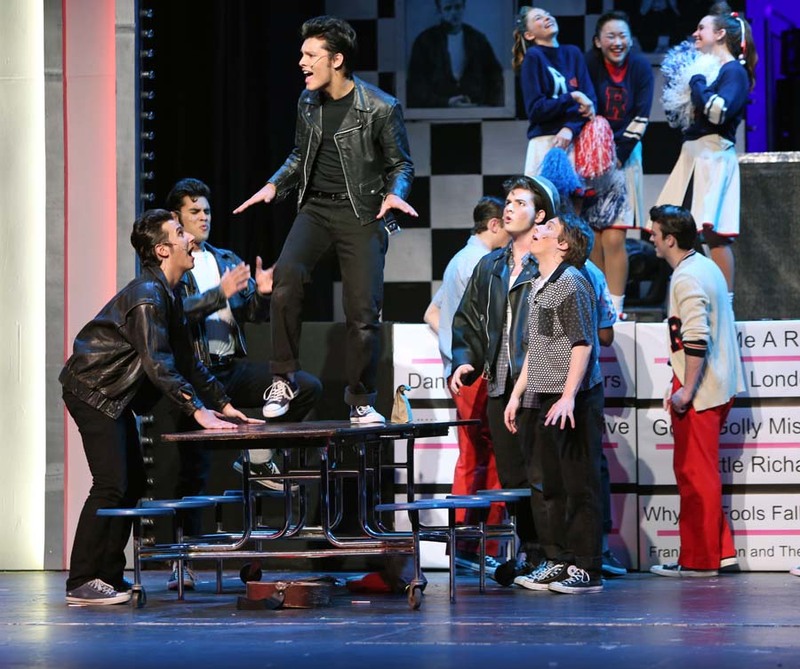 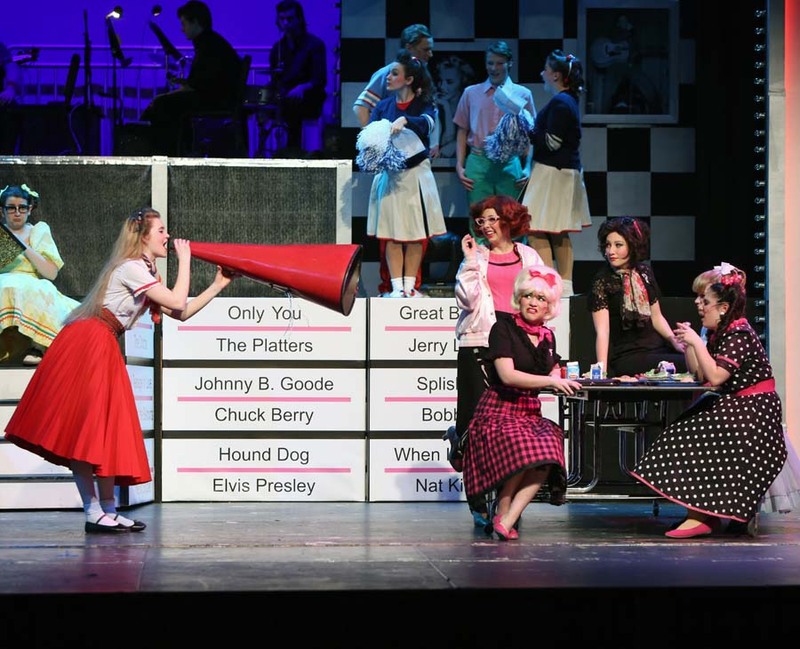 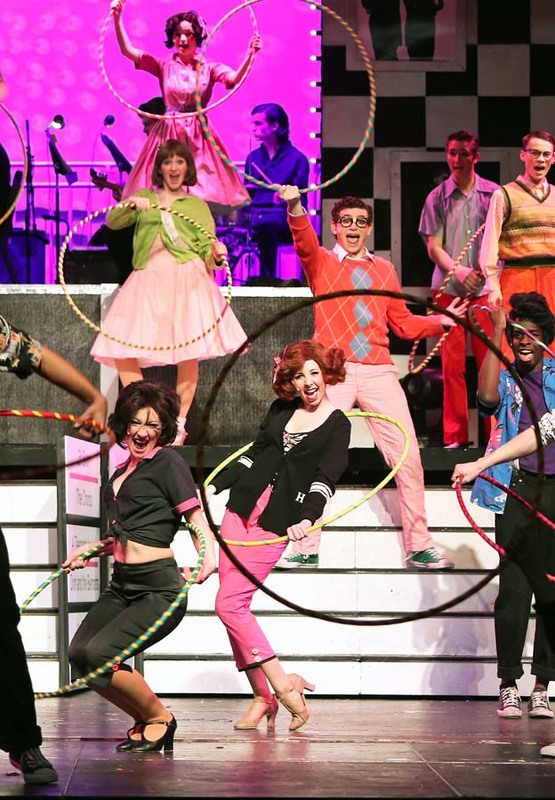 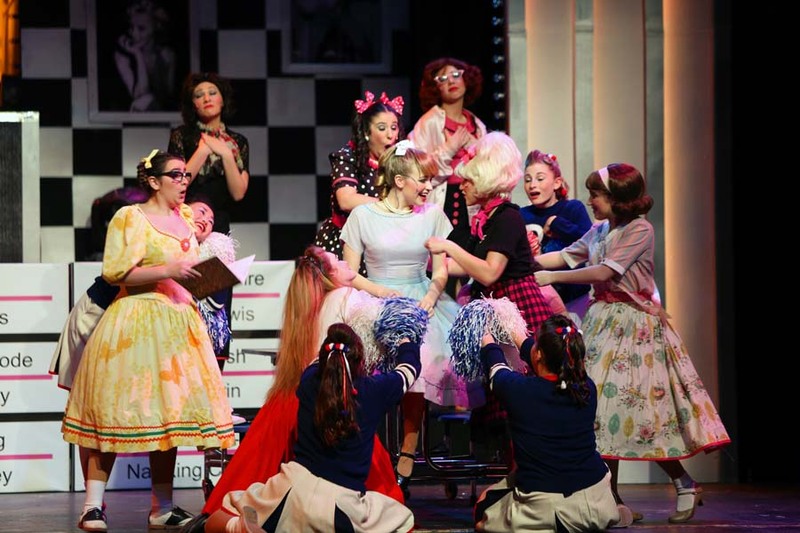 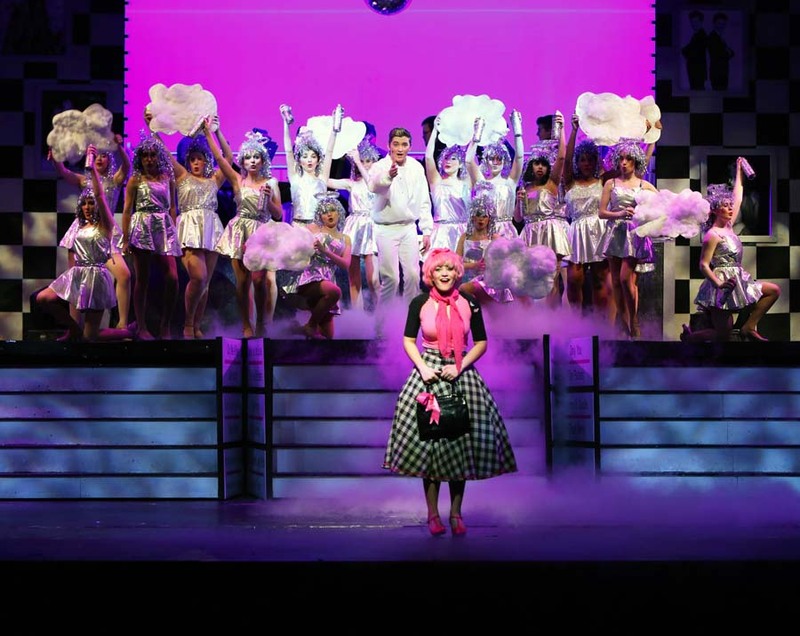 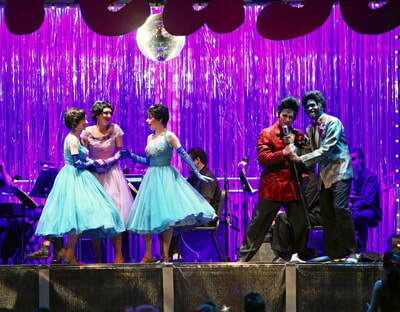 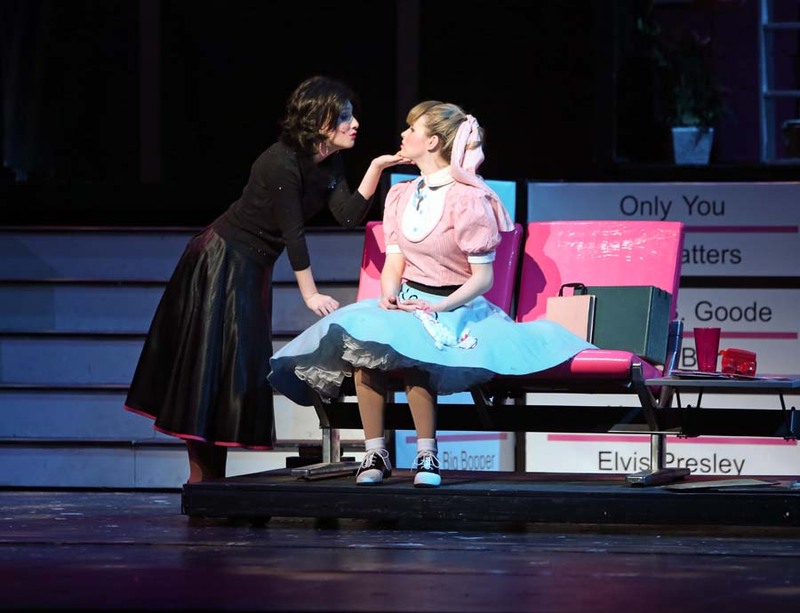 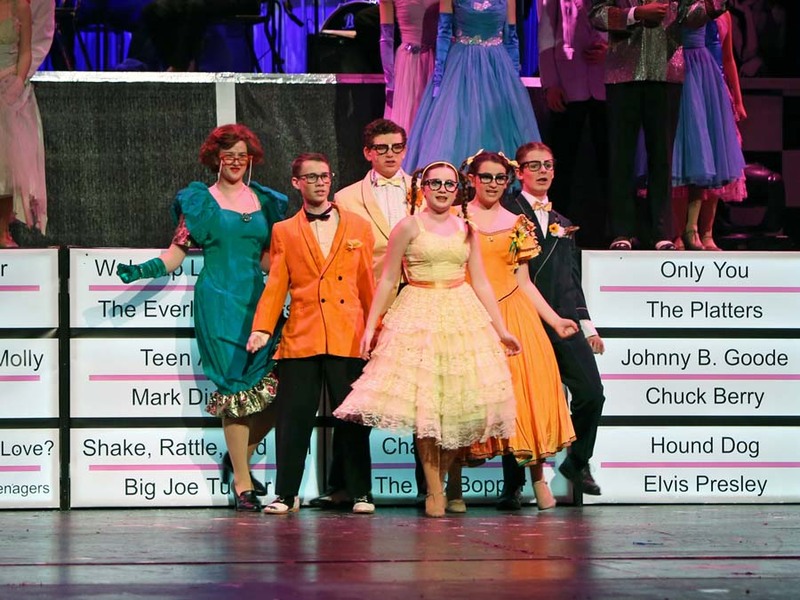 The 1950s high school dream is about to explode in this rollicking musical that is both an homage to the idealism of the fifties and a satire of high schoolers’ age-old desire to be rebellious, provocative and rebellious. 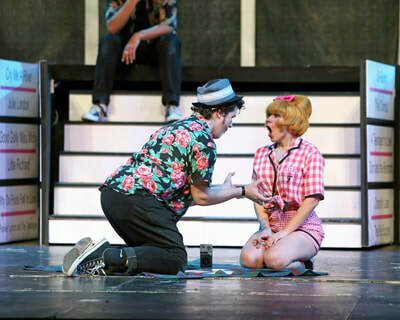 At the heart of the story is the romance between hot-rodding gangster Danny Zuko and the sweet new girl in town, Sandy Dumbrowski. 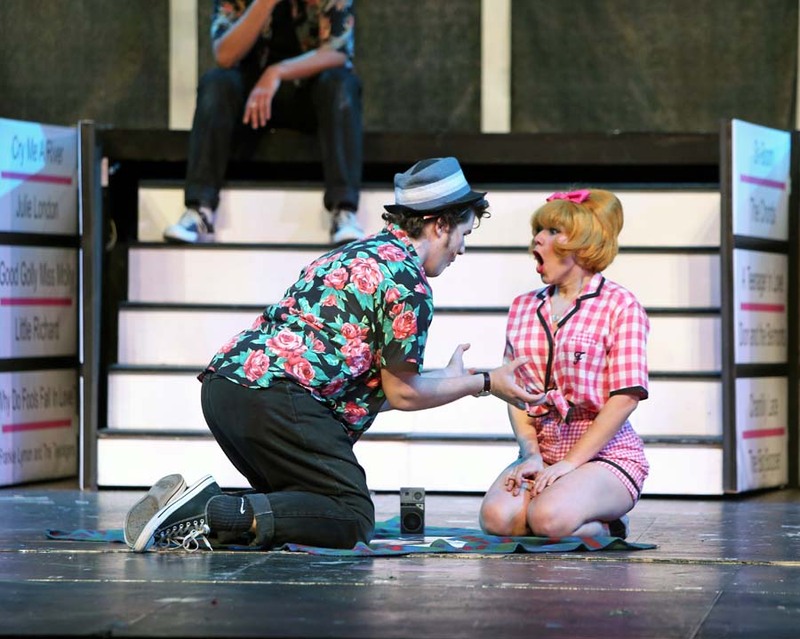 They had a secret romance in summer, but now back in the context of school, peer-pressure and cliques make their love a bit more complicated. 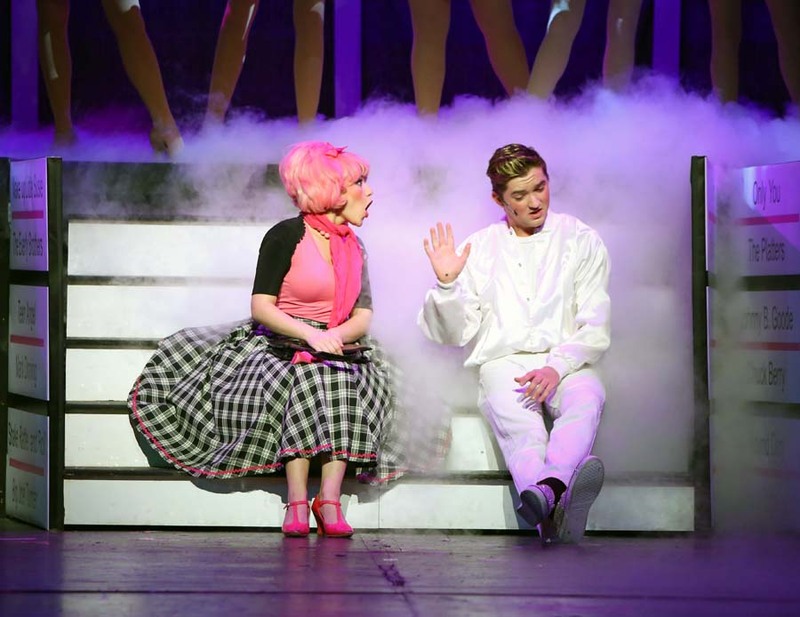 Can Danny maintain his cool dude status and still get make demure Sandy his girl? 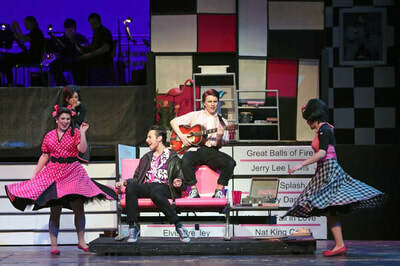 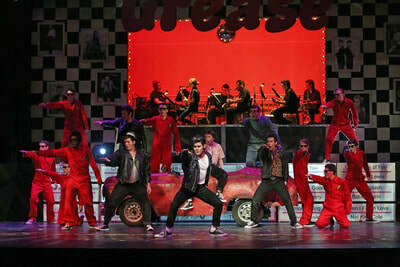 The whole gang sings and dances around Danny and Sandy’s romance, through such hit songs as "Greased Lightnin'", "We Go Together”, and “Mooning”, recalling the music of Buddy Holly, Little Richard and Elvis Presley that became the soundtrack of a generation. 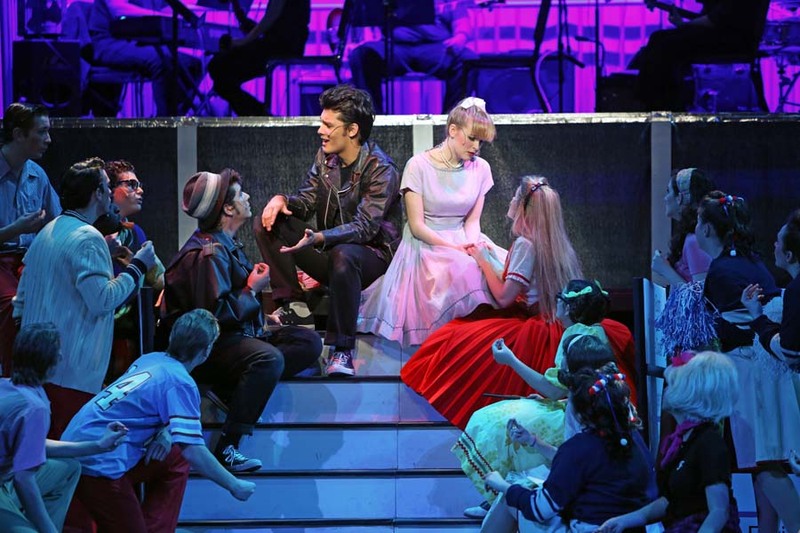 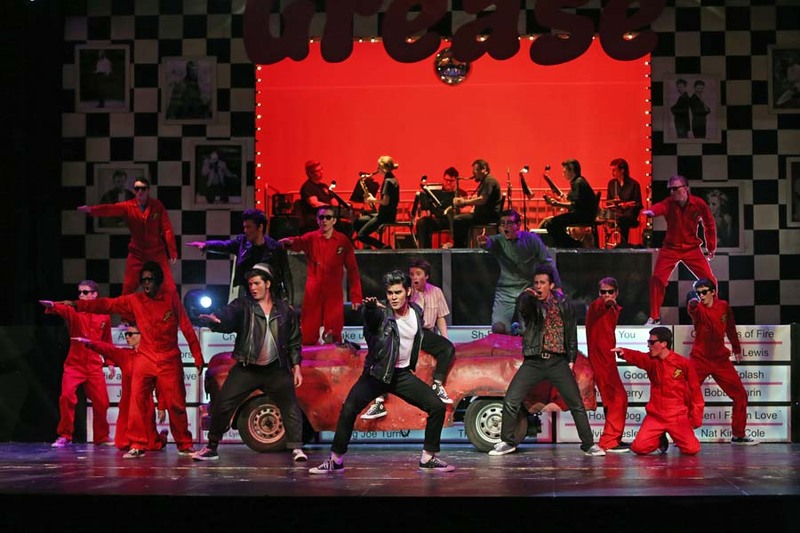 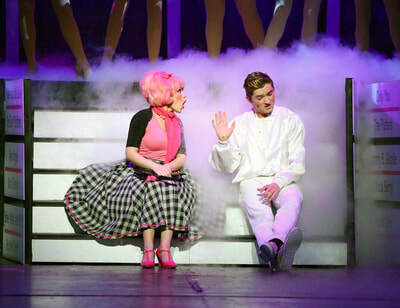 Starting off with an eight-year Broadway run, Grease is among the world’s most popular musicals and has a cult-like following, especially among teens! WE ARE So PROUD OF THE AWARDs THAT WE WON FOR OUR PRODUCTION!